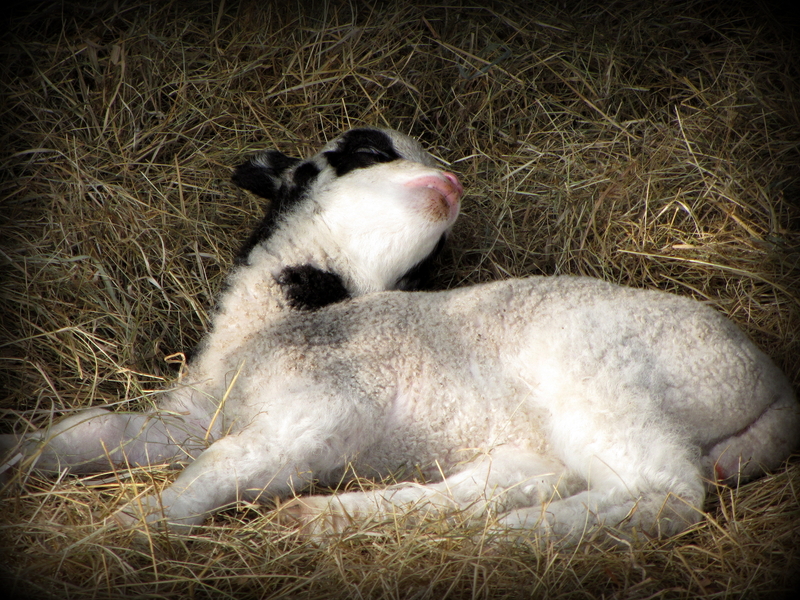 Changing pace for a moment, a few pictures from the sheepfold, in particular our 8 lambs. 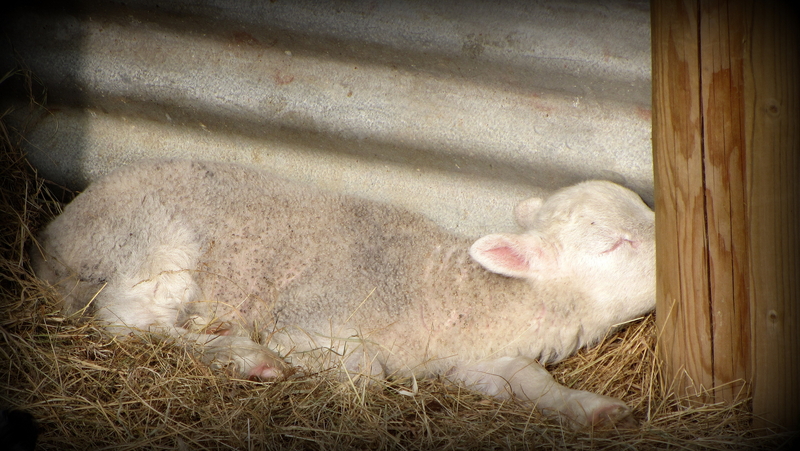 After the daily feeding for the adults (in which the lambs are now taking an increasingly vigorous part), the adults tend to wander off, and the lambs take their afternoon nap, mostly in the shelter. As the sun fought its way through a day-long mist, bestowing a pleasing warmth, it was a rather soothing scene. As usual, clicking a photo will take you to its larger version. 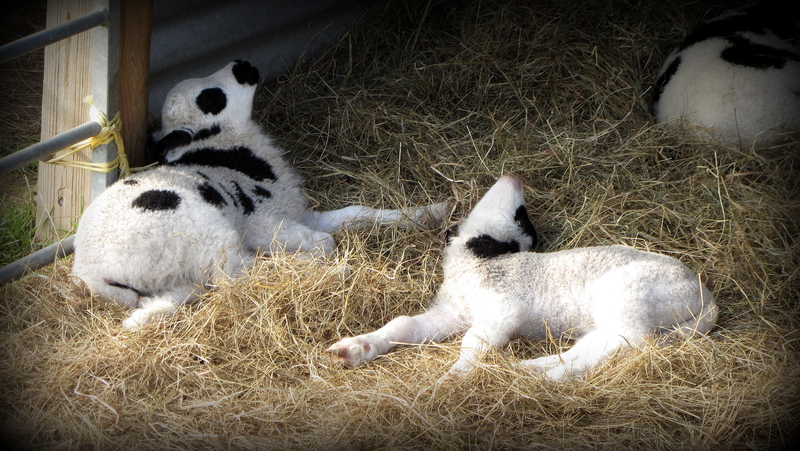 **WARNING** – the following photos are not for the hard-hearted, as they contain explicit schmaltz and gratuitous cuteness. Patch, dead to the world. 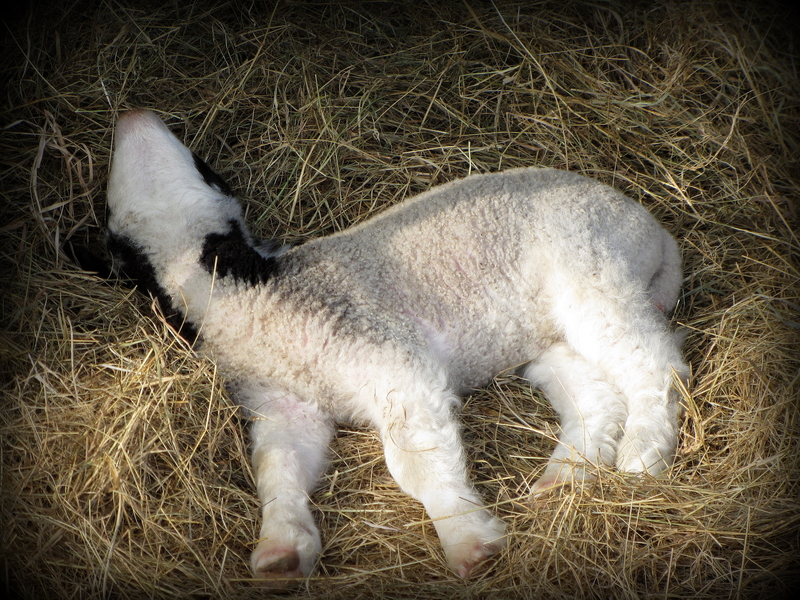 Nonnie (the rejected lamb, though after some serious persuasion, now tolerated), dreaming of the day when her mother comes to love her. Bianca, sunbathing like a pro. Nonnie awakes, ever so briefly. 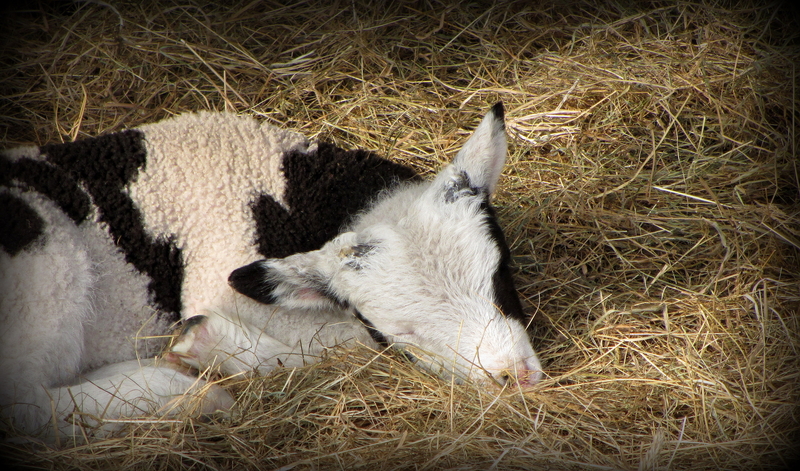 Oh to be a lamb in this wonderful “Kinderkrippe” as they say in Germany! My German vocabulary has just gone up a level, thank you! You echo my sentiments. They have a pretty good life: no predators, home-delivered (by me) gourmet grain; a quiet, rustic idyll for a home; and a pushover like me doting over them in a way no true farmer would ever allow… or at least admit. Ay, she’s a worry. But she has shown remarkable grit, a never-say-die lamb. She is already learning to fend for herself, on to grass, hay and barley quite ahead of the normal time. She gets on well with her sister, and even now her mother has gotten used to her, even if not learned to love her. I expect great things of Nonnie! PS I rescued Thelma the other day from the next field into which she had sneaked and could not then return. 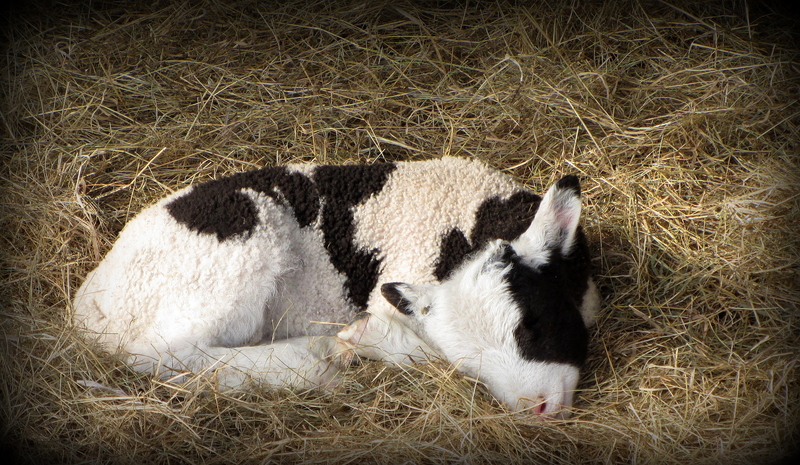 I do not remember having held a two-week old lamb before (I usually do not have to by that age). And what struck me was her fragrance – she smelt divine! Seriously, I did not want to put her down. It is not quite up there with new baby scent, but getting close!